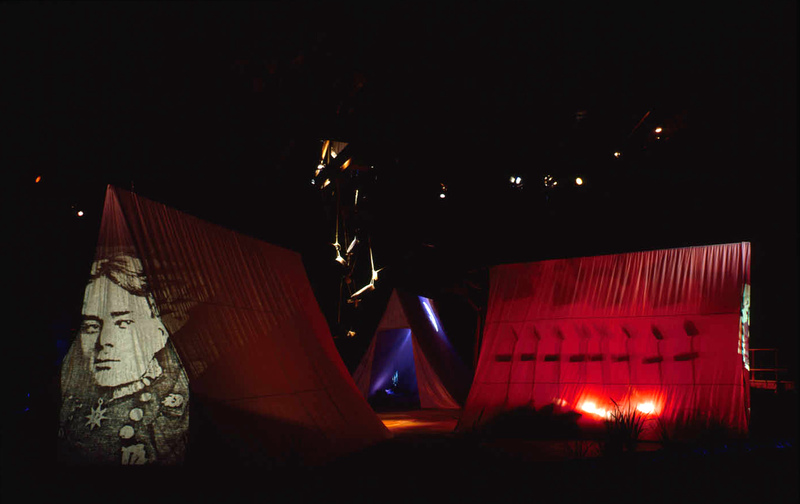 This series of six interdisciplinary, site specific installation projects and performances at the Santa Monica Museum of Art, was the museum’s inaugural program. 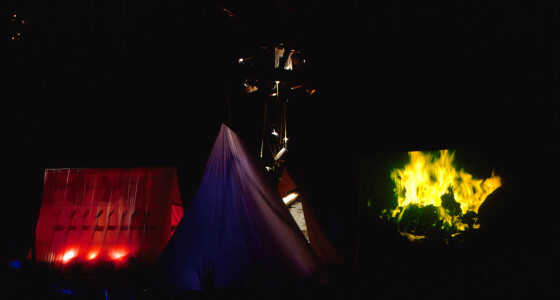 Selected by a committee including artists Michael Asher and John Baldessari; Steve Durland, editor of High Performance, Nora Halpern Brougher, curator of the Frederick Weisman Collection, Frans von Rossum, dean of the Cal Arts School of Music and Director Tom Rhoads, I was hired as a curatorial consultant to work closely with the artists on realizing their projects. 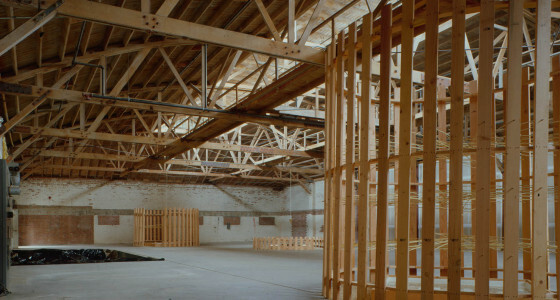 Michael Brewster’s Low Down was a low frequency sound work that reverberated throughout the raw, unfinished space. David Bunn’s Sphere of Influence, an interactive installation, explored both “sight” and “site” as viewers look through strategically placed telescopes to investigate details of the museum. 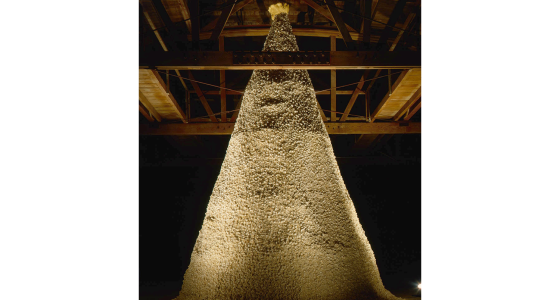 Meg Cranston’s Mountain of Eggshells, Crown of Meringue, a 20-foot mountain of eggshells topped with a ring of meringue referenced the buildings past history as the Edgemar Dairy. 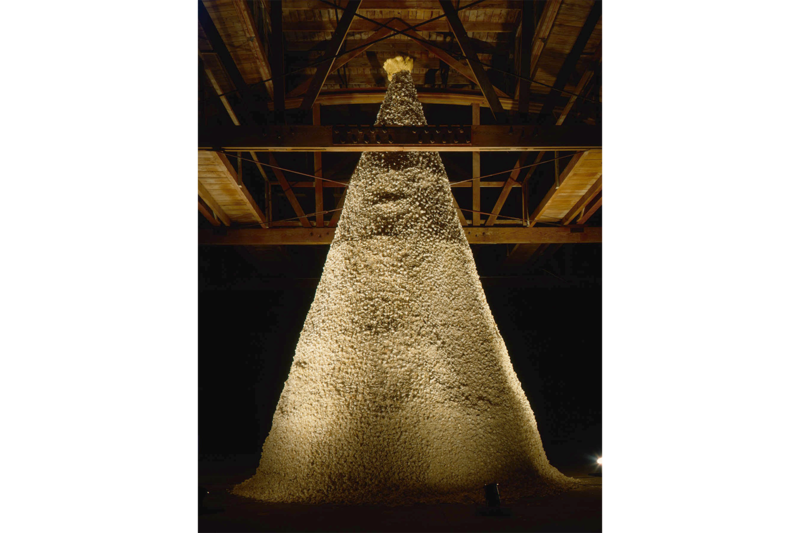 Daniel J. Martinez’s Big Fish Eat Little Fish, a multidisciplinary installation with sculpture, photography, and surveillance cameras, arranged a grid of 1,000 cast-plaster figures surrounded by symbols of authority and oppression. 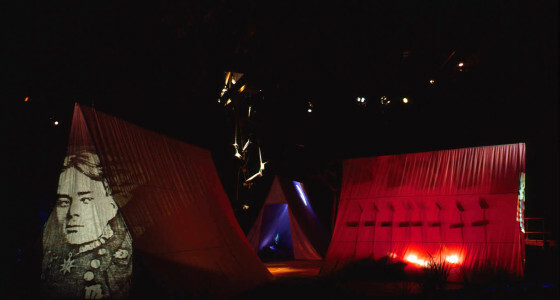 Mineko Grimmer’s large scale wooden installation became a sound environment featuring the music of her collaborator, Carl Stone. 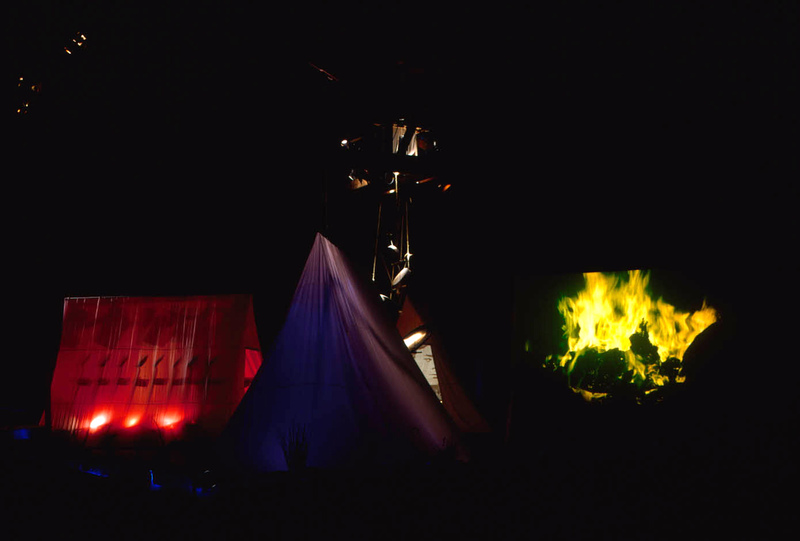 May Sun’s LA River/Chinatown, made with director Peter Brosius and composer Tom Recchion, recreated the banks of the Los Angeles River, with four tent installations that used film, slides and sound to tell the stories of Chinese railroad workers at the end of the 19th century. 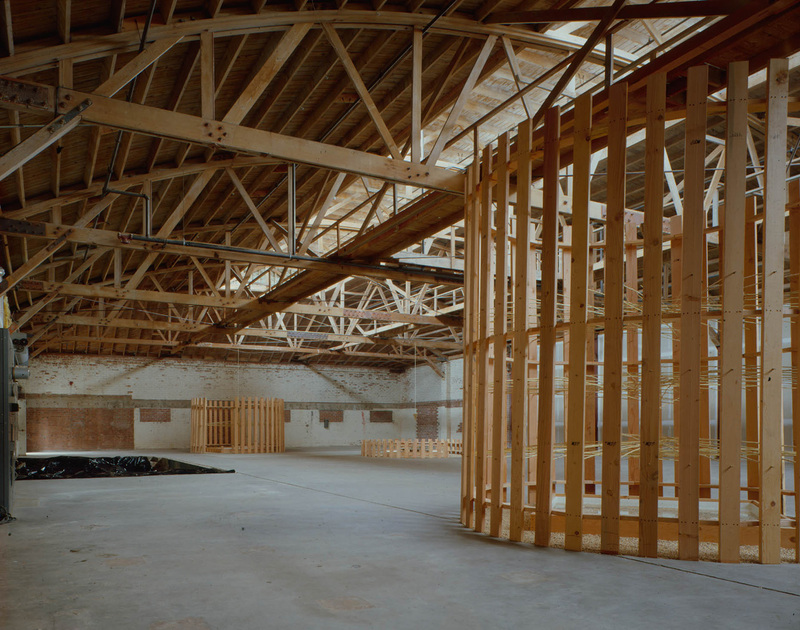 After a renovation space by Frank Gehry, I become the SMMoA’s first Director of Programs and the projects continued as the Santa Monica Museum of Art Artists Project Series. To read my essay about the Project Series, A Remembrance of Things Past: With an Eye Towards the Future, click here for a pdf.